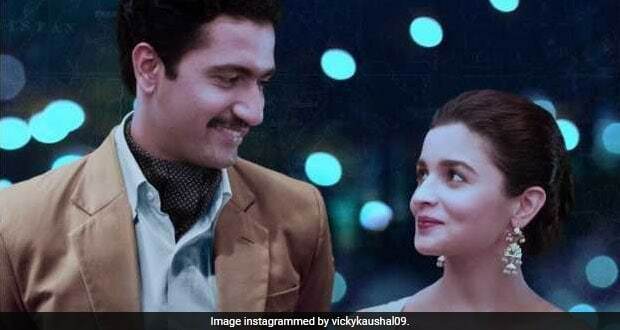 Raazi Trailer: A Peak Into Alia Bhatt And Vicky Kaushal's Foodie Side! Alia Bhatta and Vicky Kaushal's Raazi trailer is here! Alia, despite being a fan of clean eating, likes to indulge sometimes. The secret behind Vicky Kaushal's toned body? "Kaushal's Cold Coffee"! The trailer for Meghna Gulzar's Raazi movie just dropped this morning, and it looks like Alia Bhatt as Sehmat is already winning hearts. The spy drama is based on Harinder Sikka's novel Calling Sehmat and Masaan actor Vicky Kaushal plays Bhatt's husband in the film. The chemistry between the very talented actors is quite evident in the trailer, and we can't wait to watch their romance unfold on the big screen. The film also stars Rajit Kapoor, Jaideep Ahlawat and Soni Razdan. Both Alia and Vicky had been teasing fans with posters of the movie for months and now that the trailer is here, the buzz about Raazi is here to stay. Raazi movie stars Alia Bhatt and Vicky Kaushal are both known for their amazing acting chops and we all are aware of their talent. 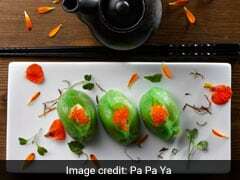 However, their foodie side is one that not many of you might be aware of. Even though Alia and Vicky might have their own strict diets to adhere to (it takes discipline and loads of sacrifice to look the way these two stunners do! ), they are both foodies in their own right. While Alia Bhatt has switched to a vegan diet and has even advocated the need to eat clean, Vicky Kaushal is a believer in eating it all and then burning those calories by slipping into the beast mode in the gym. These things were clear to us after just a little bit of Insta-stalking! Also Read: Alia Bhatt Was Having This Ruby Red Drink: 3 Reasons Why You Should Have It Too! Balance, they say, is the key to keeping fit. 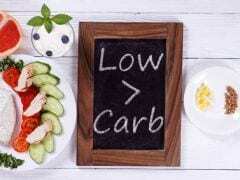 That's exactly why the Alia eats her fruits and greens on some days and indulges her sweet tooth on some others! A 100 percent of the people who have known the pleasures of eating the Indian thali have admitted to being fans of it. While we may have just made this statistic up, Alia Bhatt's love for the sumptuous Indian thali is very real! You won't be able to spot the slightest bit of fat in the wrong place on Vicky Kaushal's superbly-toned physique. So, what's the secret behind the Raazi movie star's incredibly fit body, you ask? It's "Kaushal's Cold Coffee" - a 100 percent Vicky original! Oh, and in case you wanted to order one in, he's "Taking orders for Birthday party, kitty party, shaadi-byaah, Mata ka Jagrata etc etc," too! Also, the secret behind that uber charming smile of Vicky's is the fact that the actor believes in enjoying the finer things in life. Case in point is this cheesy lasagna and beer served with a side of some spectacular view of the Colosseum in Rome. We wish both Alia and Vicky all the best for their upcoming release and also hope that the actors continue to share their love for food with the world! Happy Birthday Vicky Kaushal: 5 Times The Raazi Actor Proved His Love For Food!